Summertime is near and that means gambling season is coming to an end at SportsChump Manor. Baseball season in full swing but betting on baseball is much more a game of nickel and diming. If you’ve ever placed a wager in your life, particularly one that had a monster payout, you know football and basketball are where it’s at. With fewer basketball games left to wager on and lines harder to judge as a result, the gambler’s biological clock is ticking. Are there any big hits left on the board? Game One of the Eastern Conference Finals presented opportunities to make some money. The line in the game was four, meaning odds makers felt LeBron James and the visiting Cavaliers would beat Boston in their own building by four points… or at least figured that number was a fair, middle ground upon which gamblers would find a happy medium. 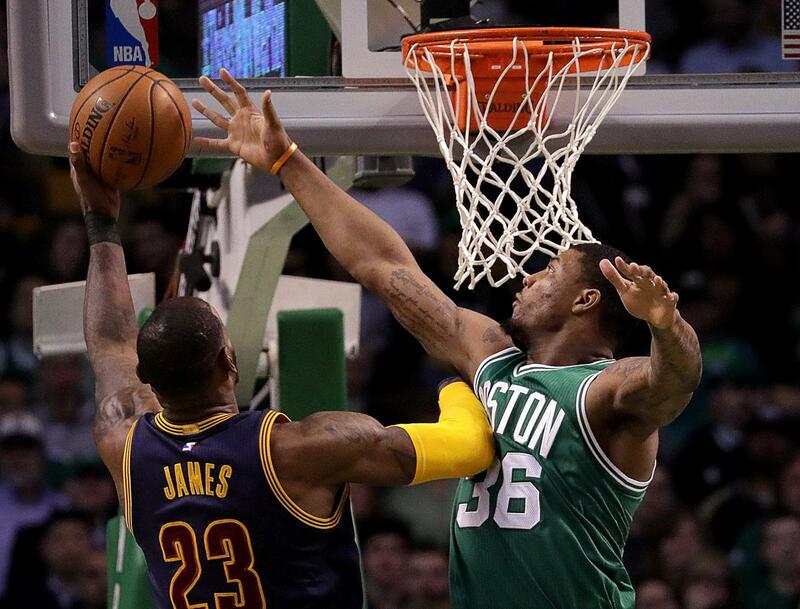 Considering Cleveland embarrassed Boston to the tune of thirteen in a game that was never that close, it’s easy in retrospect to say laying the four was a no-brainer. No, to me the intriguing number was the over/under of 220. Normally, I don’t bet over/unders. They’re just not my forte. Note: Over/Unders are the combined total points that odds makers believe will be scored by both teams in any particular game. To me, 220 seemed high. This was the very first Eastern Conference Finals game. Eastern Conference teams are traditionally known for being tougher defensively, meaning less scoring. Boston, the top seed in the East, has been known for their defense. Cleveland, their opponent, can shut teams down when they want to. They were also coming off eight days of rest so their flow might be a little off. All things considered, 220 seemed like a pretty high number. My gambling consiglieri, Dr. Milhouse, agreed. After much deliberation, I opted out of the wager. While it seemed appetizing, I’ve found odds makers set numbers like that for a reason. Who knows exactly what they do behind those curtains (it must be AMAZING) but when they set a number that high, they’re just begging you to bet it over. I watched the game intently, expecting both teams to get off to a slow start, like two boxers in a big match feeling each other out. For the majority of the game, the score looked like it would fall well under that 220 mark. The score at halftime was 61-39. 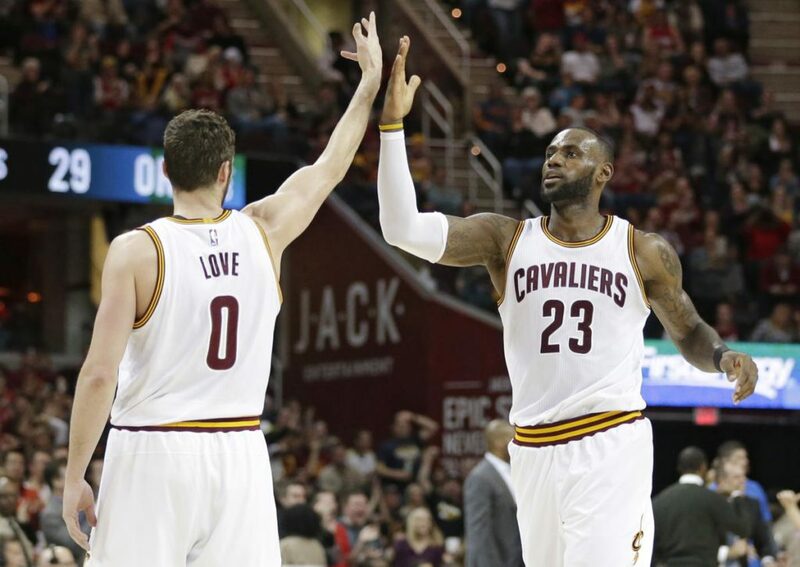 Cleveland held a substantial lead; an even 100 points had been scored in the game. That means, if you placed a wager on the under, you had a healthy yet not entirely comfortable cushion. As I said before, I didn’t place the wager. I thought about it long and hard though. I liked Cleveland to cover and still felt the game would go under but didn’t place a wager either way. Considering the game was a blowout, the contest was a yawn-fest, that is to anyone who didn’t bet on the over/under. I continued watching just to see how close that number would come to 220, silently counting down the numbers in my head with each made basket. Down a heap, Boston would have to score in bunches to close the gap. Cleveland’s defense would likely ease up. Threes would be abundant. In a physical series, so would free throws and clock stoppages. I won’t belabor the point any further, you already know there this is going. The final score of the game was Cleveland 117, Boston 104. Total points scored in the game… 221. The over hit by one single point. Gambling can be a tricky business. Sometimes the best wager is the one you never place. This entry was posted in Featured, Hardwood, Life of Sports Chump, Sportsbook and tagged Boston Celtics, Cleveland Cavaliers, NBA, NBA Playoffs, Sportsbook by Chris Humpherys. Bookmark the permalink. Enjoyed the post SC. Thx 4 explains the over/under thing too… very nice of you). Loved the movie clip ( Gez, Keaton was sooo young there!) and your last line is perfection. Baseball is the softest sport to bet, next to college baskets. The ‘juice’ is half that of all the other major sports. Over and unders(totals) require study of pace, rebounds, metrics, etc. However, during foul-fests there is no preparation for that and also multiple over-times. Laying 11to10 on many coin flip events can be hazardous to your bankroll. Always eager to mix in some old school Michael Keaton into an SC post. After all, I’m an idea man. Like I said, I’m proud of myself for laying off it although I had half a mind to lay the points, take the over and parlay them both. I tend, however, not to go against my initial instincts.